India produced 20.30 million MT of sugar in the sugar season (SS) 2016-17 and the carry over stock from year 2015-16 stands at 7 million MT. According to centre’s projections, India will produce 25 MMT of sugar in 2017-18, that is October 1, 2017 to September 30, 2018, which is 23.6 per cent higher than the sugar produced in the previous sugar season, October 1, 2016 to September 30, 2017. As per the Indian Sugar Mills’ Association (ISMA), sugar production has gone up 29.8 per cent to 69.40 lakh tonnes as of mid-December 2017 in the current sugar season, while the number of mills has increased to 469 from 449. Interestingly, the centre has recently removed the 500 tonne stockholding limit on sugar, which was acting as a limitation to buyers requiring higher quantity. Removal of the stock limit is expected to ensure additional buying, supplemented by robust production and smooth supplies. This will eventually lead to improvement in the overall market sentiment. Analysts felt that large cooperatives and millers will now be able to fetch sizeable stocks from the market, thereby activating the impending purchase cycle that has witnessed a dry spell in the past three months. The move would also empower sugar farmers to make the correct production and post-harvest marketing decisions such as looking at the futures price signals before basing the yielding and production decision. 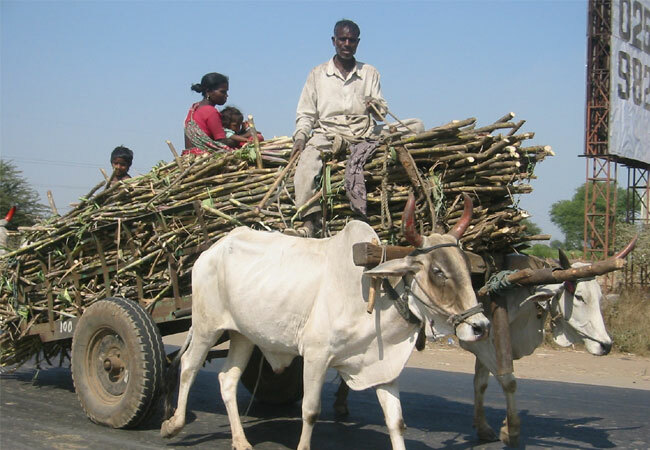 Nearly 5 crore sugarcane farmers and nearly 5 lakh sugar mill workers are directly dependent for their livelihood on the sugar industry. It is pertinent here to mention that during the current sugar season 2017-18, crushing operations in all major sugar producing states have commenced smoothly. According to an NCDEX study, the total sugar production is estimated to be around 249 lakh MT by the end of the season against estimated consumption requirement of about 250 lakh MT. However with the carry over stock, the total availability of sugar is sufficient to meet the estimated domestic requirement. As such, there will be smooth availability of sugar and the sugar prices in the domestic market are expected to remain stable at reasonable levels. Given the current comfortable position of production and in order to further smoothen the supply chain for easy availability of sugar in all regions, the centre has withdrawn stock holding and turnover limits on dealers of sugar. Going by the latest study by CRISIL Research, high prices in sugar season (SS) 2016-17 and higher production in SS 2017-18 have brought little cheer to mills because the differential between sugar prices and cost of cane continues to narrow. Cane costs are set to rise by 11 per cent while sugar prices moderate marginally in SS 2017-18. As a result, CRISIL Research expects Ebidta (earnings before interest, depreciation, tax and amortisation) margins to drop 200-250 bps in SS 2017-18, despite buoyant production. Interestingly, raw material accounts for over 70 per cent of the cost for sugar mills, and impacts margins the most. The more the gap between sugar prices and cane cost, the better is the margin for mills. In SS 2014-15, when the gap between cane cost and sugar prices vanished, mills could not make much at the operating level. Although prices picked up since SS 2015-16 and touched a decadal high in SS 2016-17, it has remained nearly 60 per cent lower than cane cost at Rs 856 per quintal compared with Rs 1,400 per quintal in the previous upcycle of SS 2009-10, which underscores little margin improvement. Sugar prices have risen on low inventories and wholesale sugar prices increased 13 per cent in SS 2016-17, hitting a peak of Rs 40 per kg in February 2017. Depleting inventory from the previous season was the main reason for the kick-up. Sugar prices and closing inventory have an inverse relationship. As inventories remain stable in SS 2017-18, sugar prices would correct only marginally, Icra study said. “As far as Uttar Pradesh-based mills are concerned, they are likely to be benefited by healthy sugar prices, along with continued healthy volumes and recovery rates, although that impact could be partly offset by moderately higher SAP cane prices. There could also be some short term softening of sugar prices in the next quarter on account of the arrival of fresh sugar supply from the new crop. However, largely, ICRA anticipates prices to remain steady over the near term. Overall, some moderation in margins from Q3 FY2018 onwards is not ruled out. The margins and cash flow generations for mills with efficient operations, forward integrations and adequate stocks are likely to remain satisfactory. This apart, these mills have by and large seen significant deleveraging over the last couple of years, which will help them withstand cyclical downturns better,” said Sabyasachi Majumdar, senior vice president & group head, ICRA Ratings. Meanwhile, India seems well set to start dialogues with neighbouring Sri Lanka and Bangladesh over lower import duties for its sugar exports to prevent a glut next season. Bangladesh, which at present imports raw sugar from Brazil, the world’s biggest producer, will find it easier and more economical to import from neighbouring India. And Sri Lanka, which allows duty-free sugar imports from Pakistan, could also be keen to import white sugar from India. In another significant development, top officials from the Indian Sugar Mills Association (ISMA) and the National Federation of Cooperative Sugar Factories (NFCSF) met top officials of Union food ministry to address the vexed issue of cheaper shipments of sugar from Pakistan. “If Pakistan imports do become viable, or if any contracts start taking place for importing sugar into India from Pakistan, especially if the state of Sindh notifies any subsidy, the Government of India is willing to increase the import duty adequately to check any such imports,” an official communique from ISMAsaid, hinting that the centre would consider hiking import duty on sugar from the current 50 per cent to check any cheaper shipments from Pakistan.